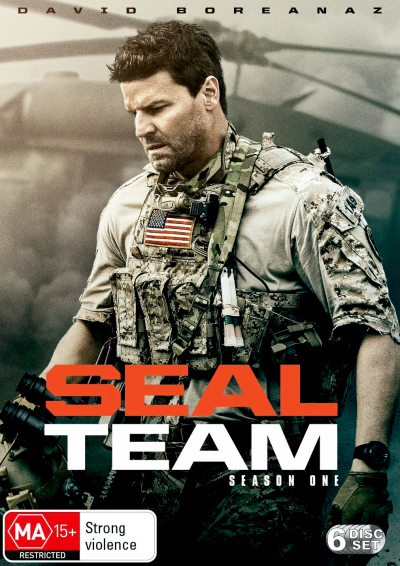 The Seal Team DVD is the new TV show starring David Boreanaz who you'll recemember from Bones and also from Buffy and Angel. The Seal Team season 1 follows the lives of the elite Navy S.E.A.L.s as they train, plan and execute the most dangerous, high-stakes missions our country can ask. The most elite unit of Navy Seals must navigate their professional and personal lives as they train, plan and execute the most dangerous, high stakes missions our country can ask of them. While on an evidence collecting mission in Syria, Jason and the Seal Team find innocent civilians in desperate need of rescue just as enemy forces close in on them. 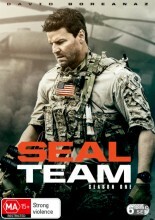 Click the button below to add the Seal Team - Complete Season 1 to your wish list.